2×2 MIMO 802.11ac access point designed for different applications. Dual-band operation and advanced 802.11ac technologies such as MIMO and beam forming, delivers high throughput and reliable coverage required by demanding business applications like voice and video. Up to 400Mbps IP throughput. Supports different channel bandwidths: 5, 10, 20, 40 and 80 MHz. Wavesys is managed via cloud, with an intuitive browser-based interface. Remote diagnostics tools enable real-time troubleshooting over the web, meaning multi-site, distributed networks can be managed remotely. 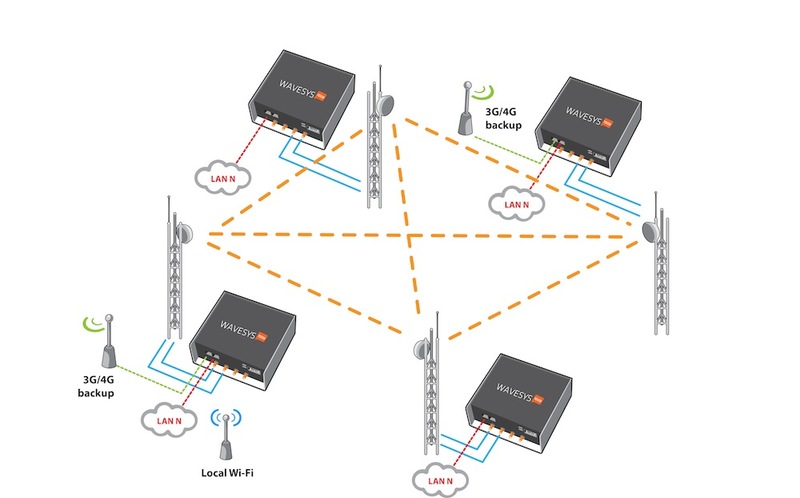 Use a single Wavesys1000 for backhaul communications and for access communications. Bandwidth control: set different maximum bandwidths rates per station. 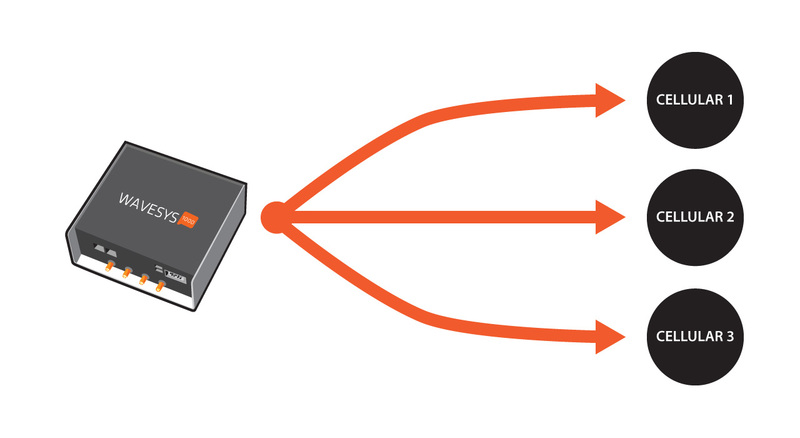 Layer-2 network for easier deployment: no need to configure routes. Working in 2.4GHz and 5GHz. Ideal for Municipalities, Campus buildings, control systems. Add redundancy to the network. Use a single Wavesys1000 with two 5GHz radios to build each node. 3G/4G interface as a backup. 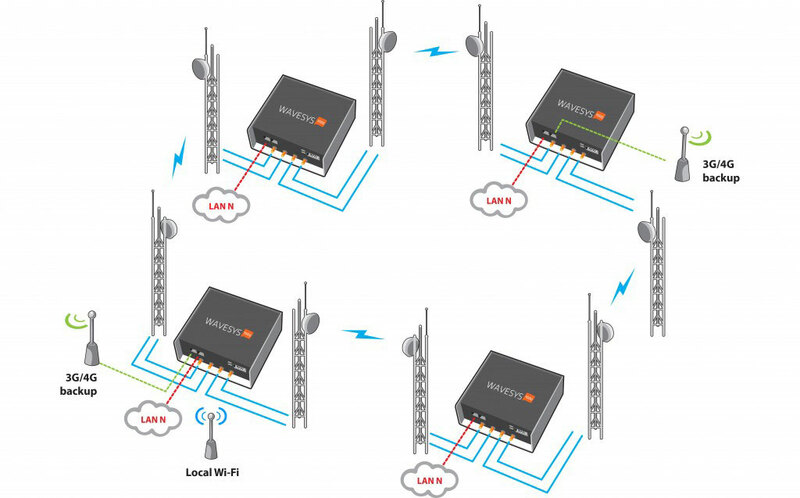 Use the extra radio slot for a Wireless Local Area Network (WLAN). Integrate remote sites into your network with minimum deployment, maintenance costs and maximum availability. Avoid a central point of failure. Configure different Mesh Nodes as Gateways. 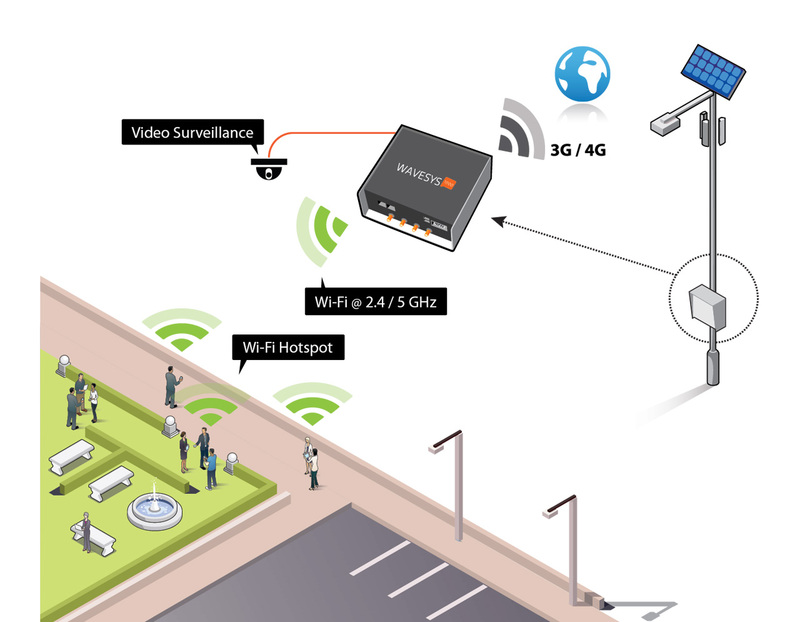 Most flexible way to deliver voice, video and data in outdoor environments. Less costly and disruptive than running cable. Self-forming and self-healing network, leading to lower costs of administration and maintenance. Designed for long range star networks. Use different RF components than the end-point to enable high capacity and serve as a transparent bridge relaying messages between end-devices and a central network server in the backend. Quick-to- deploy and easy to manage. 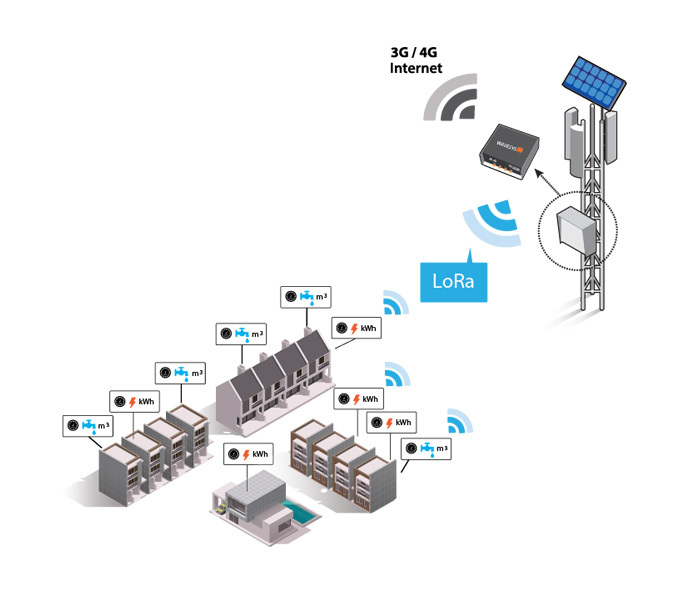 Multiple cellular interfaces: 3G/4G connected to different operators and using different antennas. 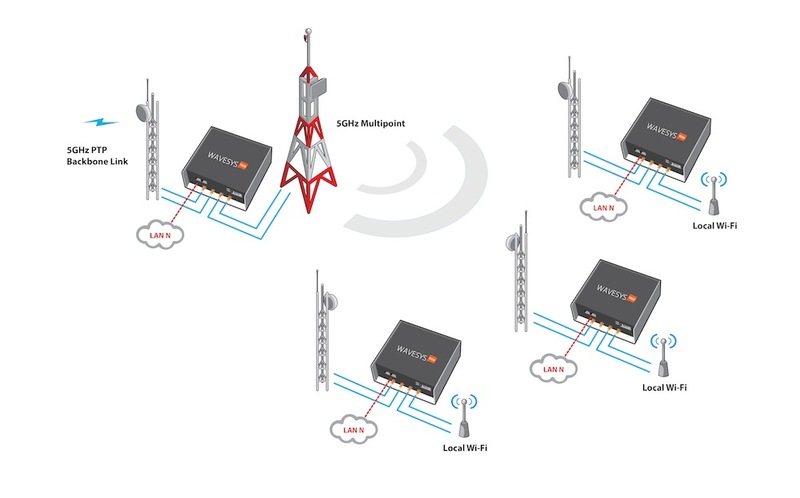 Cellular aggregation from different operators increasing system’s performance and reliability. Can be Used as main communications path, redundant path or singly for remote management. VPN client for secure communication. VPN server/client for secure communication. 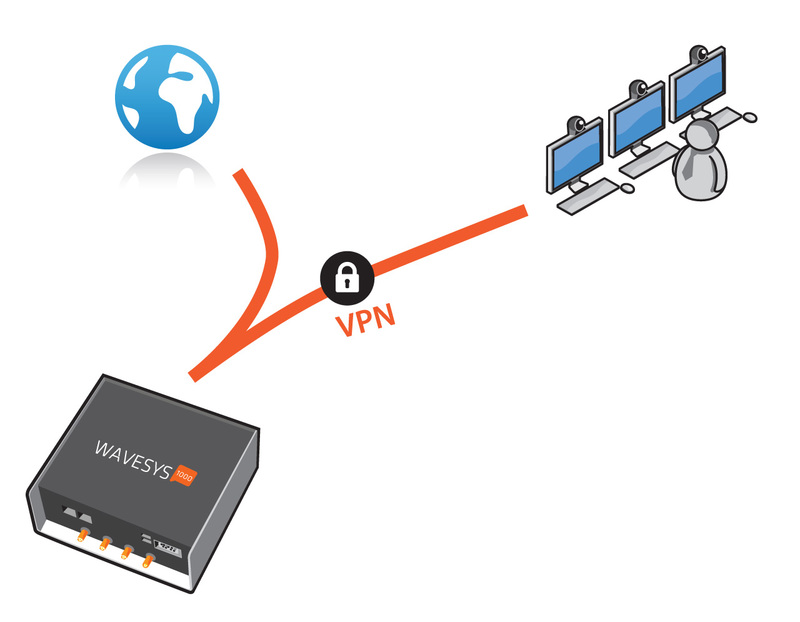 Supports multiple VPN protocols: PPTP, L2TP, IPSec, and OpenVPN. Multi-provider bandwidth bonding combining multiple links from multiple providers into a single tunnel. Automatic Failover handoff − intelligently monitors connections and automatically turns control over Failover when links become unstable. VPN Bonding Across Multiple WAN Links. DHCP – automatic IP addressing in LAN network. NAT – IP address and ports translation between inside/outside network. Firewall – filtering of addresses, ports, protocols. VRRP – virtual backup router function. DynDNS client – access to the router with a dynamic IP address. VLAN 802.11Q – virtual LAN. PPPoE Bridge – PPP frames encapsulation inside ETH frames. STP – spanning tree protocol. Routing protocols (OSPF, RIP, BGP). Real-Time Monitoring and Device Management – Check and control the status of all devices at a glance. Bandwidth Monitoring – View real-time bandwidth usage and spot usage anomalies for each device. Device Dashboard – See all devices from an easy-to- use dashboard, using maps views. Client Overview – Drill down to see all active clients and their current bandwidth usage. Firmware Management – complete firmware management and firmware rollout scheduling.